Reagent Grade Toluene, 1L for sale. Buy from The Science Company. 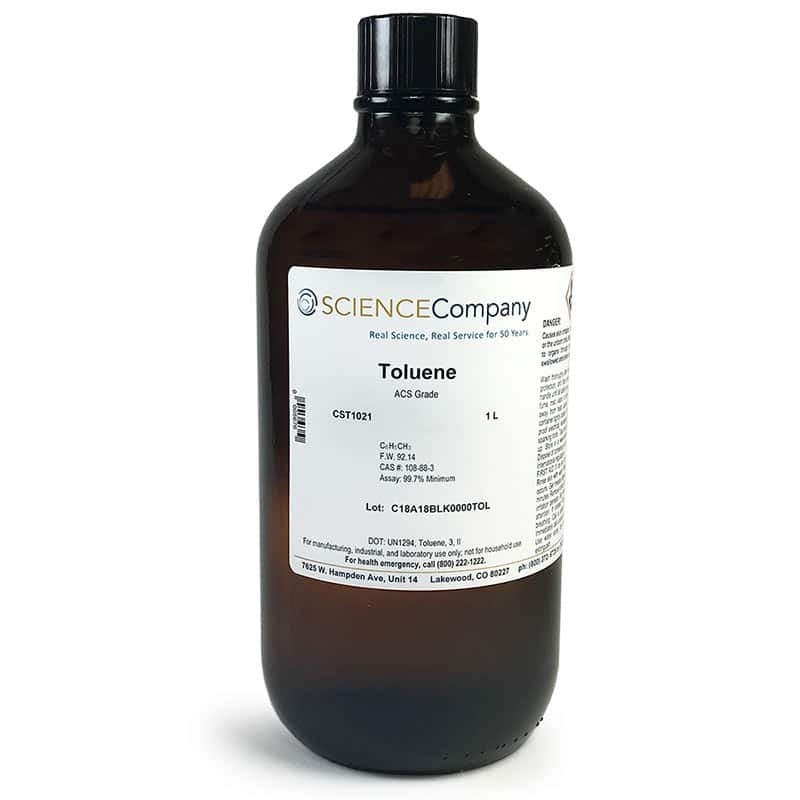 Our Toluene, ACS Reagent Grade, is of a chemical grade with highest purity and meets or exceeds purity standards set by the American Chemical Society (ACS). Also meets USP/NF grade requirements. The 99.7% contaminant-free purity of ACS grade Toluene is mainly used in the manufacture of cosmetics. Toluene is also used in making paints, paint thinners, lacquers, glues and stain removers. Since it is less toxic, toluene has replaced benzene in most non-industrial uses. 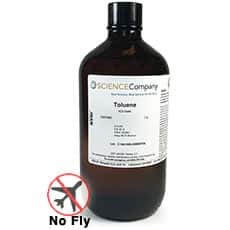 Toluene is colorless with a sweet smell and taste. It evaporates quickly. Caution: Toluene is flammable and a dangerous fire risk. Only ships to destinations within the 48 contiguous US states and Canada using Standard Ground. No air deliveries allowed.